As if torturing my daughter with Santa wasn’t bad enough the first time, I figured I’d do it once more just to secure her need for therapy later in life. This time we went to the Beaver Valley Mall with cousin, Dominic (6m), to have her photo taken with Santa. Once again she liked Santa from afar, but was not interested in sitting in his lap. Actually for the first few seconds she just kinda stared at Dominic with this look on her face like “What in the world is going on here?”, but they didn’t take the picture 😦 And then she started to cry. It’s almost like the photographer was waiting for her to cry. I love how Dominic has his hand on her back as if trying to comfort her. In case you missed it last week, check out our first visit with Santa this year. Check out my other Christmas posts in the right sidebar and feel free to look around the categories and tags to the right for anything else that might interest you! This post on 10 Ways to Shake Up Your Christmas Pajamas Tradition is a popular one. 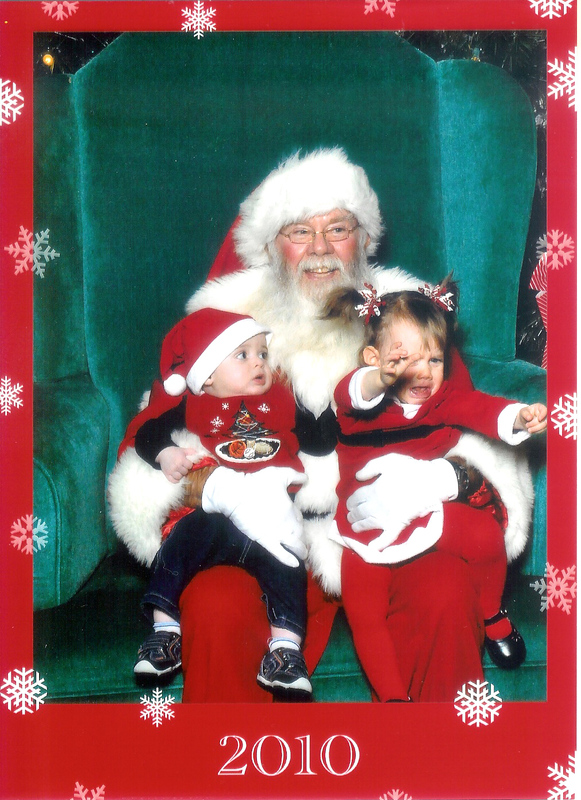 Don’t forget to vote for Adaline in the Spooked by Santa Photo Contest everyday until 01/09/2011! Thanks! 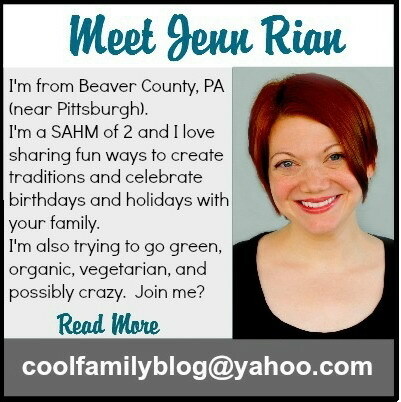 Coolest Family on the Block is committed to helping you find creative ways to have fun and make memories with your family this holiday season. 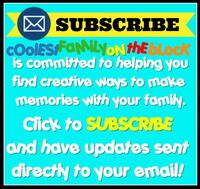 Don’t miss an idea, tip, or trick…subscribe and have updates sent directly to your email! Posted on December 22, 2010, in Christmas, Holidays, Santa Photos, Traditions, Wordless-ful Wednesday and tagged Christmas, Holidays, photos, Santa, tradition, Wordless Wednesday. Bookmark the permalink. 11 Comments. I have a nearly identical picture of my Stinkpot with the arms outstretched like that! This year he snuggled with Santa. It will get easier each year! Oh, how sweet 🙂 I’d love it if she snuggled Santa. I wasn’t surprised, though, sometimes she will only come to me and not even to my husband so I figured the strange man might freak her out a little. Everyone needs at least one Santa “freak out” photo for the scrapbook, right?! Priceless photo of your cuties. I do love the crying photo…it cracks me up! My 2 YO wouldn’t get within 4 feet of him! Adaline didn’t mind him from afar and even after the freak out she touched him “nice” and gave him “5”…she just didn’t want to sit on his lap. Merry Christmas! I hope you have a wonderful holiday with your family!